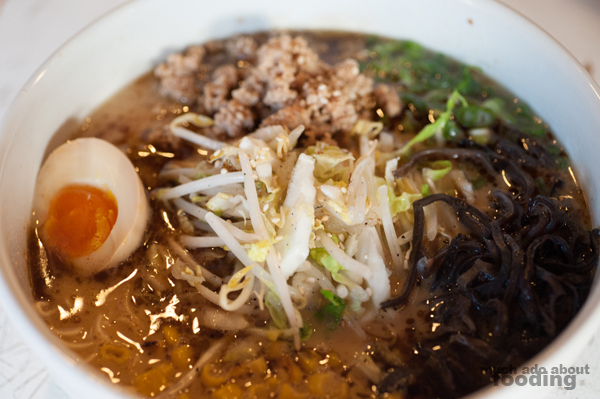 There is something so comforting to be found in a bowl of steaming ramen when done right. It is a complicated process that takes a lot of hard work (I've tried it at home, and the going was rough!) and an extreme amount of patience. Our own favorite broth style is tonkotsu which also seems to be the most complicated; it requires many steps and much love but the product of this pork bone broth is spectcular. 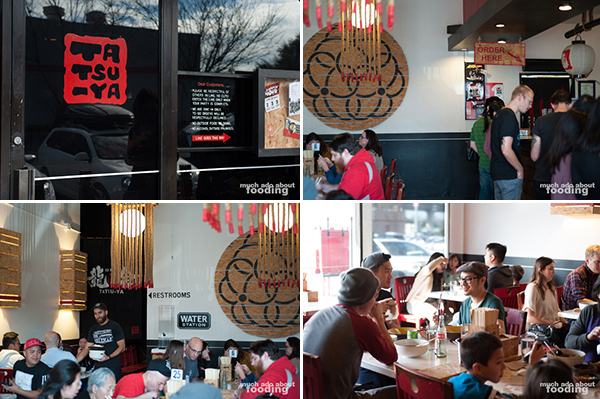 We asked Austin locals if there was a ramen-ya in town that clings to the traditions and quality of the art of ramen, and they pointed us the way of Ramen Tatsu-Ya so we had to visit. It certainly hit the spot. Is waiting in line for food a thing in Austin? I'm half-joking but it seems like the tasty places that we have been visiting always have the prerequisite of us standing in queue. 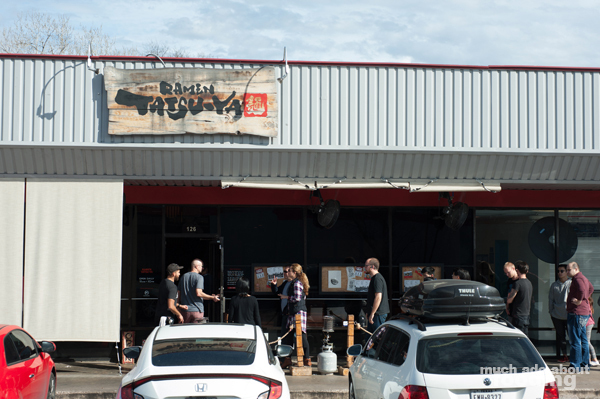 Ramen Tatsu-Ya was no different and actually had a bonus line; you waited outside to be let inside to wait to order. It was not a big deal however. 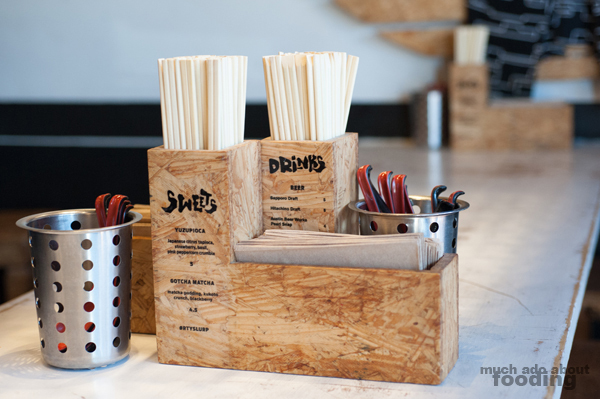 Most people would slurp up their noodles quite quickly and be on their merry way. Once we got our bowls, it became clear why: the food was good. The interior was sparsely decorated but didn't need to be lavish by any means. The focus was on the menu which had a traditional feel to it with the offerings but still had splashes of modernity. In fact, here was not an uptight stiff-collared restaurant but rather one that was relaxed and full of vibrant team members. 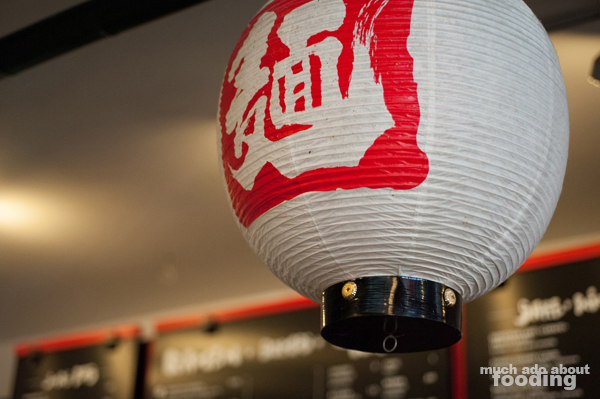 There were also several showcases of their unique flair on the menu by way of their toppings, "bombs" to add to ramen, appetizers, and even drinks. We happened to arrived during their Slurpin' Hour which takes place 2-6PM daily and offers $2 house sake, $3 specialty drinks, and $3.50 Sapporo draft. Duc snagged at Hibi-Gibi Punch (w/sake - hibiscus lemongrass tea and simple syrup) and I their Kimchelada (Sapporo, Bloody Mary mix, kimchi, bonito, katsu sauce, and togarashi salt rim). 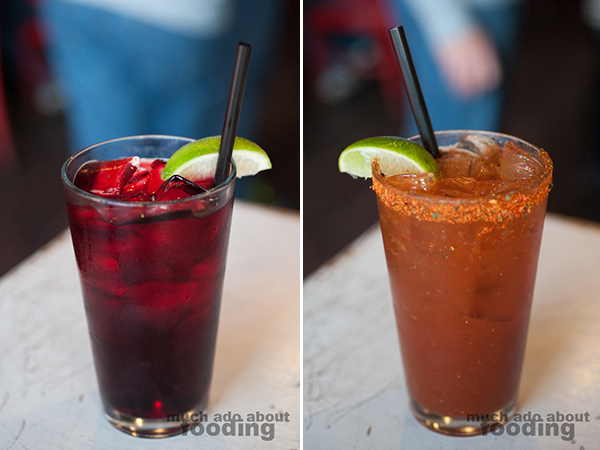 The punch was a refreshing and easy-drinking cocktail, and the kimchelada was definitely an innovative concoction. Who would have mixed all of those ingredients together? Well Ramen Tatsu-Ya did, and it was quite tasty. The main broth at this ramen-ya is tonkotsu, a broth made from pork bones that takes many, many hours to make. 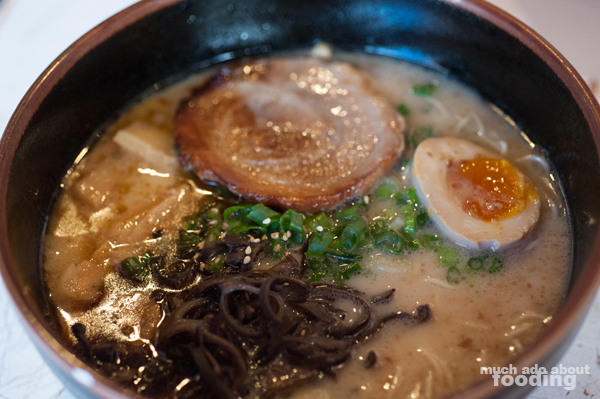 There are other ramen styles here as well such as tsukemen (dipping ramen), chicken shoyu, and veggie but the focus is on the tonkotsu. Those wishing to spice up their bowls even more can opt to add on "bombs" like the Spicy Bomb or Yuzu Kosho Bomb which range from $1 to $1.50. We wanted ours straight to best gauge what made this restaurant so beloved. Duc ordered the Mi-So-Not ($10 - pork bone broth, miso blend, goma pork, ajitama, scallion, napa cabbage, bean sprout, and corn) and added on kikurage for $.50; there is also a spicy version of this bowl called the Mi-So-Hot if you are so inclined. Stacked high with quality toppings, the ramen had a sturdy broth base that coated one's palate with just the right amount of creamy smoothness. It was different to not have chashu be the main protein but the minced goma pork was a welcomed change; it was seasoned well and mixed into everything perfectly to give you some meat per spoonful. I was particularly fond of my Tonkotsu Original ($9.50 - pork bone broth, chashu, ajitama, woodear mushroom, and scallion) to which I added on marinated bamboo for $.60. Since this one did not have additional miso added to it, the broth was purer and gave us a stronger sense of its prowess. Here was a good bowl of ramen. The chashu was thicker than I am accustomed to but still flavorful and crisp in the right places. We both also noted that they made delicious ajitama (the marinated soft eggs) that came out as hot as the broth with a molten, bright yolk. I'm looking forward to checking out more of their broths in the near future. If you are craving a hot bowl yourself, visit them at 8557 Research Blvd #126, Austin, TX 78758 and be prepared for some lovely comfort food. Heck, take us along why don't you? My meals need more ramen in them!